Are you planning to host or attend a party soon? Do you worry that people will run out of things to talk about? You're not alone. This is one of many things that party hosts need to think about. Have a list of conversation starters to get the small talk moving. When you see things slowing down, pull something from your back of tricks. It can be anything from the weather to the latest football scores, depending on who the guests are. Here are some great trivia bits that will aid in your efforts to entertain your guests. Use these when you need to get the communication rolling again or as conversation starters during the meal. Are you serving chicken for dinner? Why not offer this trivia bit of information. In culinary circles, the left chicken thigh is said to be the most tender. With an after dinner treat such as ice cream you can share with your guests that ice cream (more specifically sorbet) was first made in China. For guests from the younger specialty coffee generation you might want to share that a percolator was once the the appliance used to make coffee. Or how about this bit of information. Many people worry over the amount of caffeine found in a can of Coca-Cola. Did you know that one can has the same amount of caffeine as a half a cup of coffee? What is the proper place for your bread and butter plate at a formal dinner? The bread plate is on the left side of the place setting, just above the fork, while the drinks are on the right, above the knife and spoon. Mixing dinner and a movie? Woody Allen fans might enjoy this seafood quote. This famous funny man was once quoted as saying "I will not eat oysters. I want my food dead, not sick, not wounded, but dead!" Is it ever appropriate to eat chicken with your fingers? If you are at a formal dinner, use your fork and knife. However, if you are at a picnic where fried chicken is served, there is nothing wrong with picking it up and eating it with your fingers. There are so many great food options available to the American host/hostess. Share this bit of trivia as a side dish to your Sushi. Do your guests know the origin of this rice and seaweed delicacy? The answer is Japan. That great new menu you're considering lists a roux. Any thoughts on what that is? Roux is a mixture of butter or other fatty substance and flour that is often used in Cajun inspired dishes. Who doesn't love a great salad? Here's a great trivia bit about greens. Did you know that the common weed, dandelion, may be eaten in salads and used to make wine? In the U.S., we consider the dandelion a weed, but it's actually cultivated for food in other parts of the world. Impress your guests with your extensive vocabulary, all while enjoying some hot chili peppers. The unit used to describe the heat level of a chili pepper is termed Tempranillo. At what age should children start learning manners? You should start teaching children age-appropriate manners as soon as they are ready to understand the concept. Start by teaching your toddlers how to share and play nicely with others. Are your guests inquiring about your marzipan? Make sure they and you know that the minimum amount of almond paste in real marzipan is fifty-percent. This information will come in handy in the event your guests share any food allergies. 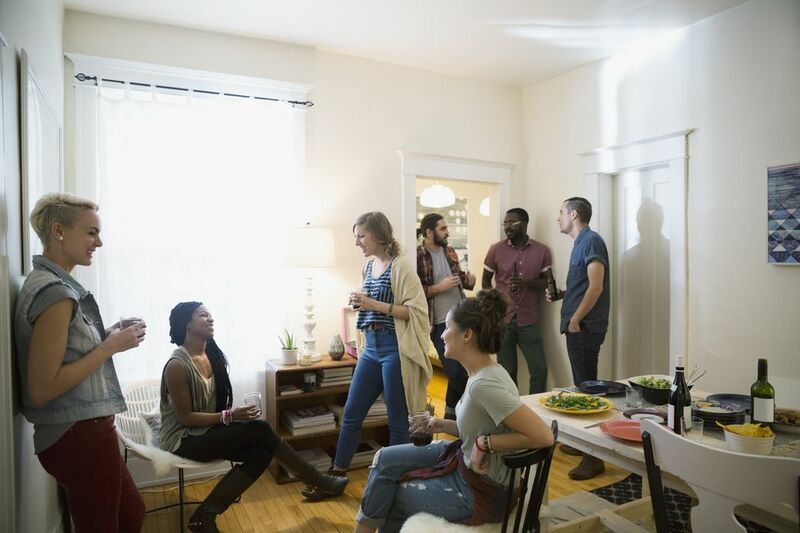 Hosting friends and family should be an enjoyable event. It's always a good idea to have a list of conversation starters, and trivia questions are an excellent place to start. Remember that these trivia items are not meant to be used to boast but to help you steer your party conversations should there be a lack of interesting things to talk about. Research these and more trivia ideas and use them as prompts, allowing the conversation to flow.